Everyday stress and anxiety are common human experiences that typically fade without medical intervention; however, extreme stress and anxiety may interfere with your ability to conduct your daily life. Acute stress and anxiety such as that experienced after a traumatic event can be relieved by short-term use of antianxiety or sedative medications. Long-term management of chronic anxiety disorders, such as generalized anxiety disorder, post-traumatic stress disorder, obsessive-compulsive disorder, panic disorder and social anxiety disorder, usually involves a combination of medications and cognitive or behavioral therapy. Barbiturates depress brain activity causing tranquilizing and sedative effects. Medium- and long-acting barbiturates such as phenobarbital, butabartital, butalbital, amobarbital, mephobarbital and secobarbital are sometimes used for short-term relief of overwhelming situational stress and anxiety. Barbiturates are not used long-term because there is a high risk for physical dependency with these medications. Benzodiazepines alter brain chemistry to relieve anxiety and stress. Many drugs are included in this class of medications including alprazolam, chlordiazepoxide, clonazepam, diazepam and lorazepam. Benzodiazepines are typically used for short-term management of anxiety and stress, because physical dependence develops with long-term use. Buspirone is an antianxiety medication unrelated to other antianxiety drug groups. This medication is most commonly used for long-term management of generalized anxiety disorder. The National Institute of Mental Health estimates 6.8 million Americans age 18 years and older have generalized anxiety disorder, one of the various types of chronic anxiety disorder. Serotonin reuptake inhibitors (SRIs) are antidepressant medications that are also used for long-term treatment of anxiety disorders. The National Institute of Mental Health reports approximately 18 percent of adult Americans have anxiety disorders. Several weeks of SRI treatment is needed for these medications to take effect. Fluoxetine is typically used for panic disorder and obsessive-compulsive disorder. Sertraline may relieve obsessive-compulsive disorder, panic disorder, post-traumatic stress disorder and social anxiety disorder. Fluvoxamine is used primarily for obsessive-compulsive disorder. Escitalopram is approved for the treatment of generalized anxiety disorder. Paroxetine may relieve symptoms of generalized anxiety disorder, social anxiety disorder, panic disorder and obsessive-compulsive disorder. Serotonin-norepinephrine reuptake inhibitors, or SNRIs, are another group of antidepressant medications that are also used for anxiety disorders. Doctors prescribe venlafaxine for generalized anxiety disorder, social anxiety disorder and panic disorder. Duloxetine is most commonly used for generalized anxiety disorder. Mirtazapine may help relieve post-traumatic stress disorder. 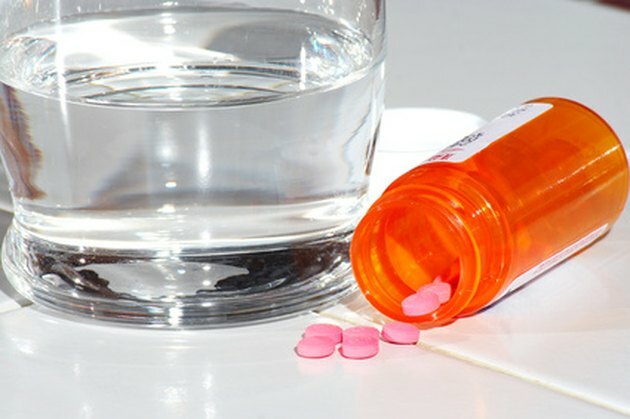 The U.S. Food and Drug Administration requires a warning on all SNRIs and SRIs advising of an increased risk of suicidal thoughts or behaviors in people taking these medicines. Young adults, adolescents and children are at greatest risk. The first few weeks of treatment or the weeks following a change in medication dose are the most likely times for this serious side effect to develop.